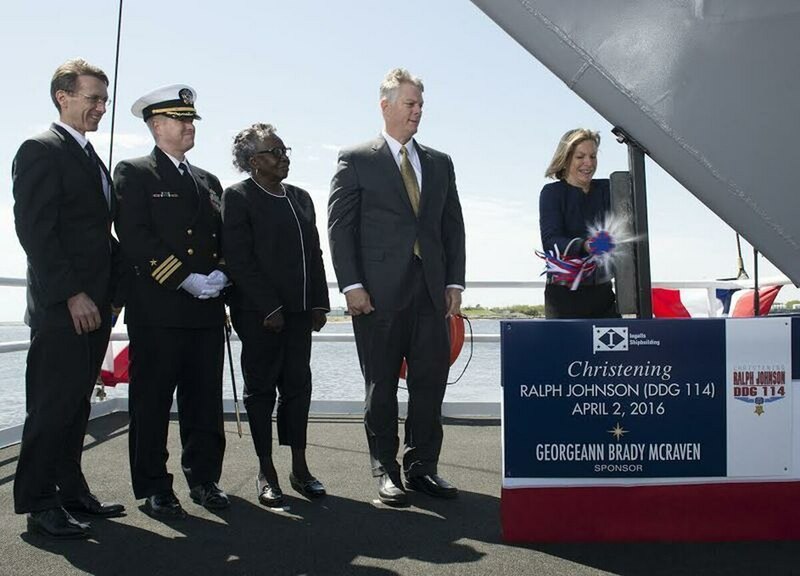 CHARLESTON, S.C. — A new Navy destroyer named for a Marine who died in Vietnam will be commissioned in South Carolina next year. The Post and Courier of Charleston reported that the USS Ralph Johnson will be commissioned in March in Charleston. Johnson jumped on a grenade in Vietnam in 1968, dying as he saved the life of a fellow Marine. Johnson was awarded the Medal of Honor for his actions. The Navy said in 2012 the ship would be named for the 19-year-old Johnson, who lived in Charleston. The Veterans Administration Hospital in Charleston was renamed for Johnson in 1991. The nearly $700 million ship will be based in Everett, Washington, when it joins the fleet.